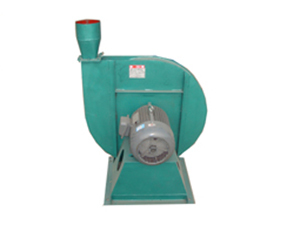 8-09,9-19-pressure centrifugal fan is generally used for high-pressure forced ventilation, suitable for conveying air and non-corrosive, non-natural, non-sticky material gas; transmission medium temperature generally does not exceed 80 ℃; media contained in the dust and hard fine particles less than 150mg/m3. The product is widely used in material handling, but also the management systems in addition to the elimination of dust pollution, protect the environment, improve an indispensable facility working conditions. Users can the required amount of wind, air pressure be chosen so that the purchase of wind turbines meet the actual needs, in order to avoid a mismatch occurs.